The learning of transesophageal ultrasound guided fine needle aspiration (FNA) (endoscopic ultrasound-FNA), and endobronchial ultrasound guided transbronchial needle aspiration (endosonography) should be based on the following steps: Acquiring theoretical knowledge, training on simulators, and supervised performance on patients. Each step should be completed by passing a validated exam before proceeding to the next step. 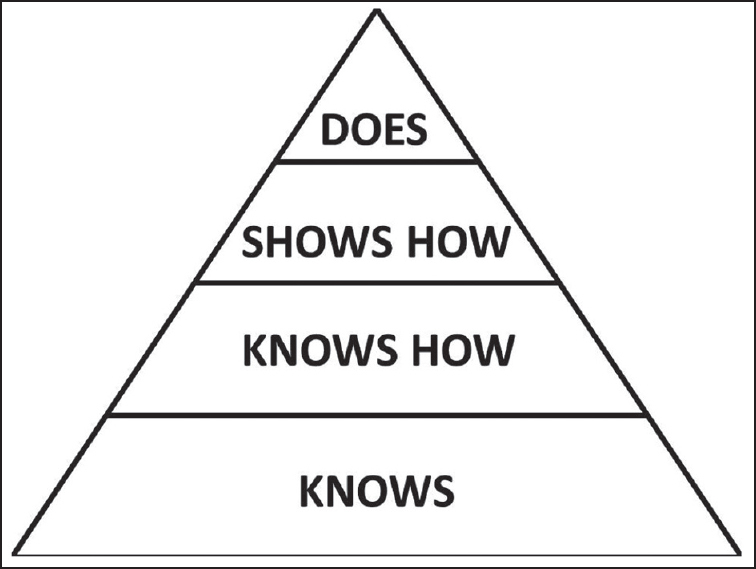 This approach will assure basic competency on all levels, and testing also facilitates learning and improves retention. Competence in endosonography can be based on a systematic an easy principle consisting of 2 times six anatomical landmarks. Background and Objectives: Endoscopic ultrasound-guided fine-needle aspiration (EUS-FNA) is the standard modality for diagnosing pancreatic masses. We compared the diagnostic yield of a new EUS-guided 22-gauge core needle biopsy to a standard 25-gauge FNA in sampling the same pancreatic lesions during the same EUS. Patients and Methods: The main outcomes of the study were the sample adequacy of each method to provide a final pathological diagnosis, and the concordance in diagnosis between core and FNA specimens. The secondary outcomes were the sensitivity and specificity of the findings for each needle and the incremental yield of using both needles compared with using each needle alone. Results: A total of 56 patients with 61 solid pancreatic lesions were evaluated. The mean number of passes with FNA was 3.5 (ranges 1-8) and with core biopsy needle was 1.7 (ranges 1-5). The proportions of adequate samples were 50/61 (81.9%) for FNA and 45/61 (73.8%) for core biopsy (P = 0.37). The diagnostic yield was 46/61 (75.4%), 42/61 (68.9%) and 47/61 (77.1%) for FNA, core, and both, respectively. There was a substantial agreement of 87.5% (κ = 0.77; P < 0.001) in the findings of core and FNA specimens. The sensitivity for the diagnosis of malignancy for FNA and core biopsy were 68.1% and 59.6%, respectively (P = no significant [NS]). The specificity was 100% for both methods. The incremental increase in sensitivity and specificity by combining both methods are 1.5% and 0%, respectively. Conclusion: There are NS differences in the diagnostic yield between EUS-guided 22-gauge core biopsy and standard 25-gauge FNA for diagnosing pancreatic lesions, but core biopsy required fewer numbers of passes. There was NS incremental diagnostic yield when using both needles during the same procedure. 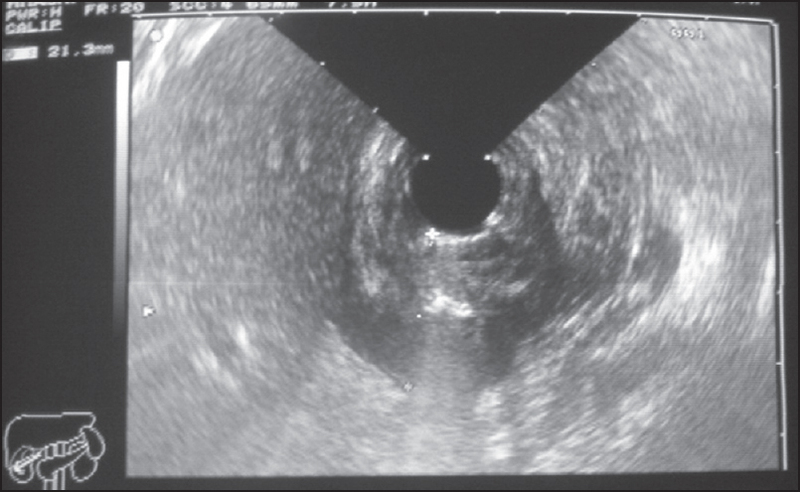 Background and Objectives: Endoscopic transmural puncture cysts and drainage pancreatic fluid collections are an important part of endoscopic ultrasound practices, but can be technically difficult to master, particularly with regards to placing stents. We developed an ex-vivo model that is inexpensive and can be used for cyst puncture and fluid collection drainage. Methods: Over the last 5 years, we have perfected the creation of this ex-vivo model. The model is easy and inexpensive to create and multiple aspirations and device placements and removals into a single cavity with decompression. The model allows the use of cautery devices and placement of expandable metal stents. Additionally, the contents in the model can be altered to appear as walled-off necrotic collections endosonographically. Results: The model can be created for <300 US dollars. It has been used at multiple international conferences for teaching purposes and can withstand up to 10 puncture and drainages without having to replace the "cyst." The cyst can easily be exchanged for other prepared cysts. Preliminary surveys obtained from users show ratings that are realistic. Conclusions: A new ex-vivo model can be easily and economically created, is realistic and can be used multiple times during the single training session. Background and Objectives: It is usually challenging to diagnose intraparenchymal pulmonary nodules and masses that are not adjacent to central airways or esophagus. We evaluated the diagnostic accuracy and safety of endobronchial ultrasound-transbronchial needle aspiration (EBUS-TBNA) and/or endoscopic ultrasound (EUS)-guided fine-needle aspiration (FNA) for these lesions. 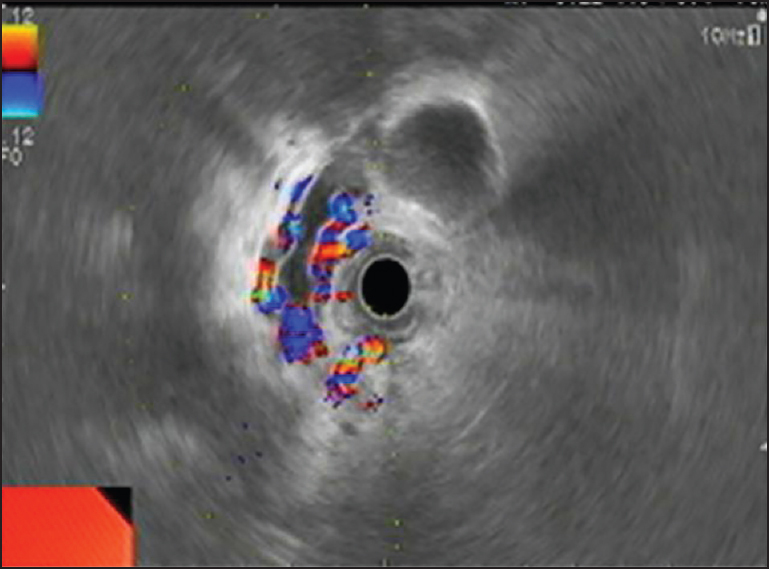 Materials and Methods: We performed an Internal Review Board-approved retrospective analysis of all patients who underwent EBUS, EUS, or both for the diagnosis of centrally located pulmonary nodules and masses between November 2008 and July 2013. We report results as median values with ranges. Results: We identified 16 consecutive patients who underwent EBUS-TBNA and/or EUS-FNA of pulmonary nodules and masses not adjacent to airways or esophagus. We performed EBUS-FNA in 10 patients, EUS-FNA in five patients, and both EBUS-FNA and EUS-FNA in one patient. Median lung lesion size was 22.5 mm (11-45 mm) and median distance from airway or esophagus was 19 mm (5-30 mm). We obtained a tissue diagnosis in 15 patients (93.8%). There were no procedure-related complications. Conclusion: We conclude that EBUS-TBNA and/or EUS-FNA are accurate and safe for the diagnosis of intraparenchymal pulmonary lesions that are not adjacent to central airways or esophagus. Background and Objectives: The term, portal biliopathy, denotes various biliary abnormalities, such as stenosis and/or dilatation of the bile duct, in patients with portal hypertension. These vascular abnormalities sometimes bring on an obstructive jaundice, but they are not clear which vessels participated in obstructive jaundice. The aim of present study was clear the bile ductal changes in patients with portal hypertension in hopes of establishing a therapeutic strategy for obstructive jaundice caused by biliary varices. 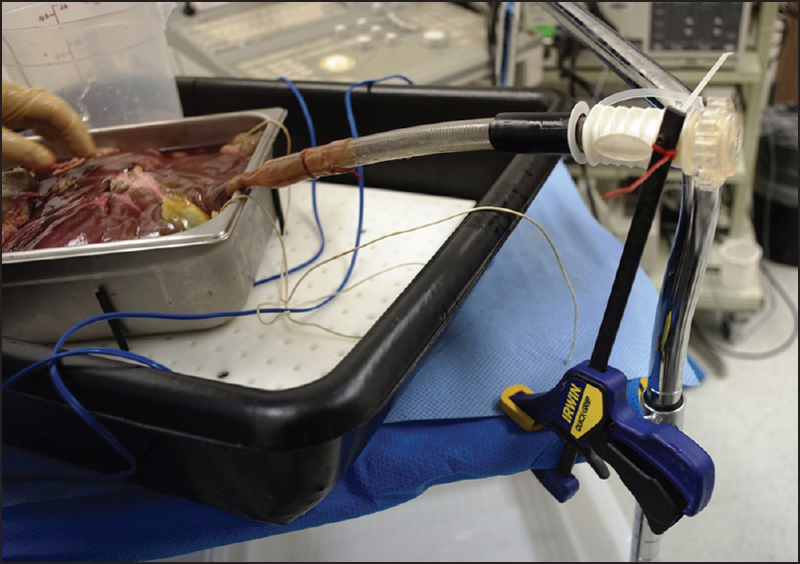 Materials and Methods: Three hundred and thirty-seven patients who underwent intraductal ultrasound (IDUS) during endoscopic retrograde cholangiography for biliary abnormalities were enrolled. Portal biliopathy was analyzed using IDUS. Results: Biliary varices were identified in 11 (2.7%) patients. 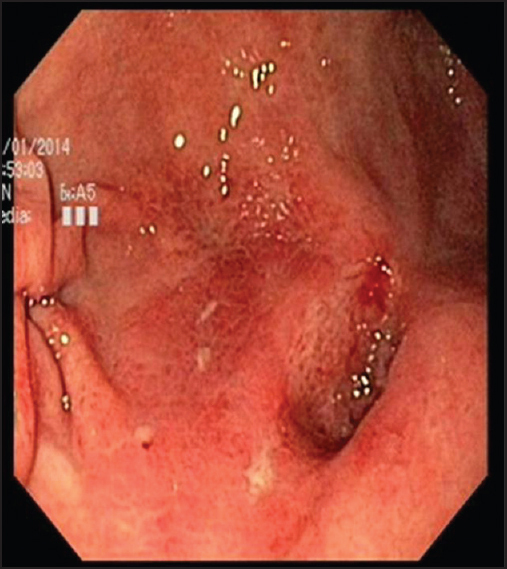 IDUS revealed biliary varices as multiple, hypoechoic features surrounding the bile duct wall. These varices could be categorized into one of two groups according to their location in the sectional image of bile duct: epicholedochal and paracholedochal. Epicholedochal varices were identified in all patients, but paracholedochal varices were observed only in patients with extrahepatic portal obstruction. Conclusion: IDUS was useful to characterize the anatomy of portal biliopathy in detail. 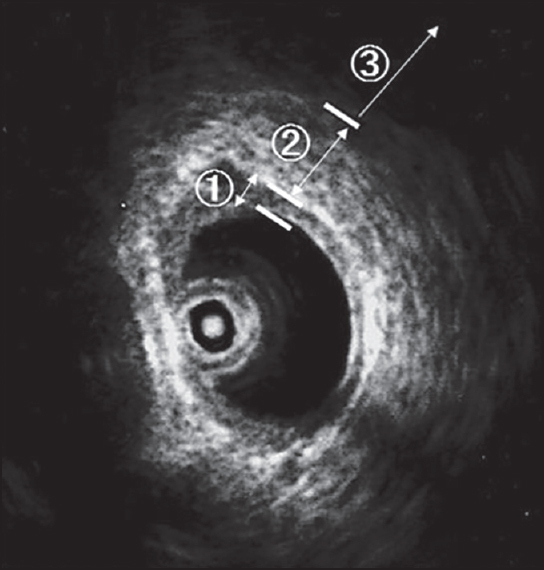 Background and Objectives: Noninvasive imaging techniques have shown limitations to identify insulinomas. In few studies reported so far, endoscopic ultrasound (EUS) has proven to be able to locate lesions. 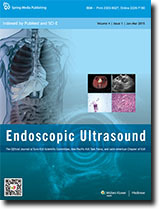 The aim of this study was to compare the performance of computed tomography versus EUS for the detection of insulinomas. Materials and Methods: In a retrospective manner prospectively collected data were analyzed. Patients with hypoglucemia and hyperinsulinemia were included. Diagnostic yield was measured in relationship to sensitivity, specificity, positive predictive value, negative predictive value and accuracy. Surgical specimens were considered the gold standard. Results: Sensitivity, positive predictive value, and accuracy of EUS was 100%, 95.4% and 95.4%, respectively. In the case of CT the sensitivity was 60%, specificity 100%, positive predictive value 100%, negative predictive value 7%, and accuracy were 68%. Conclusions: EUS is useful in the preoperative assessment of patients with hypoglycemia and serum hyperinsulinemia. Background and Objectives: Most of the available data on pancreatic cancer are from Western countries. The aim was to characterize pancreatic cancer in Asian patients and to compare it with pancreatic cancer in Caucasians. Materials and Methods: Inpatients with histologically proven pancreatic cancer were retrospectively recruited at King Chulalongkorn Memorial Hospital from January 2005 to December 2011. 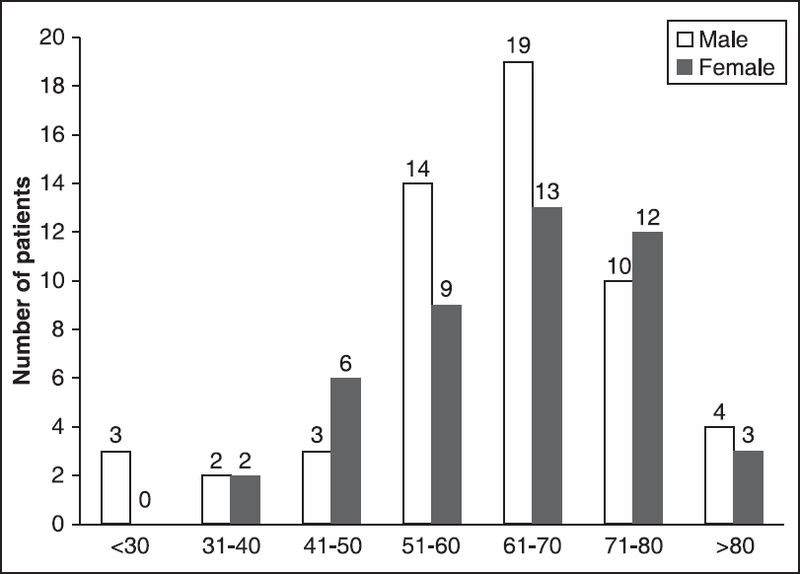 Results: The study enrolled 100 patients (male:female = 55:45, mean age 62.7 ± 12.9 years). The amount of time between symptom onset and disease diagnosis was 59.89 ± 63.12 days. The common presenting symptoms included abdominal pain or discomfort (71%), weight loss (70%), and jaundice (60%). Fifty-three of the 100 patients had stage 4 pancreatic cancer. The most common metastatic organ was the liver (n = 42, 79.25%). The survival rates after 1 and 3 years were 24 and 6%, respectively. The overall median time for survival was 5.1 months (range, 3 days to 62.4 months). According to the multivariate analysis, the staging at the time of diagnosis, serum albumin level, and tumor size were found to independently affect the survival rate. Twenty-two patients underwent endoscopic ultrasound-fine-needle aspiration with the sensitivity rate of 86.4% (19/22). Conclusion: Because pancreatic cancer in Asians may be clinically similar to the disease in Caucasians, the goals of future research of the disease may also be similar in the two populations. Ovarian cancer is frequent and recurrence happens in about 75% of patients. As it presents high rates of relapse, the exams for this diagnosis are widely discussed. Beside this, there have been discussions about benefits for early anatomic diagnosis and whether endoscopic ultrasound (EUS) can be used to track the relapse of the disease. 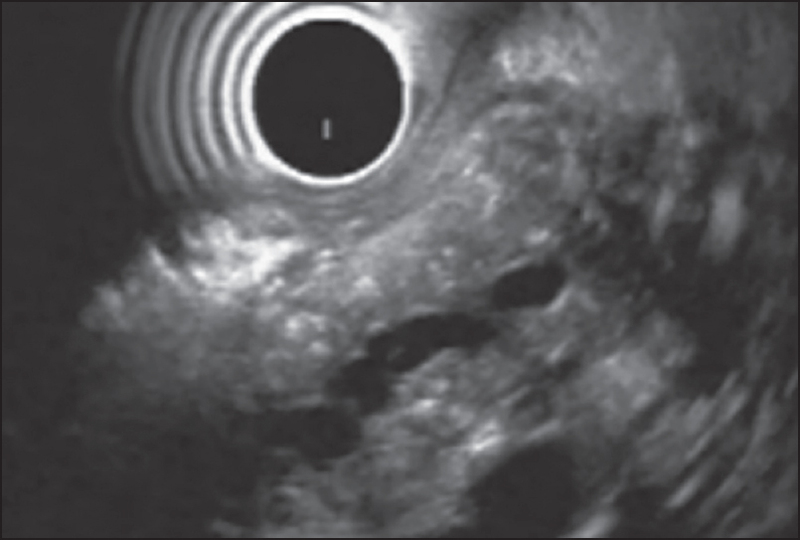 We present a case, in which anatomic location and histological definition of an asymptomatic recurrence of the ovarian cancer was misdiagnosed with conventional methods, but was possible through EUS. Isolated gastric outlet obstruction after 1 month of asymptomatic ingestion of corrosive is a rare phenomenon and rarely reported. In this type of cases, diagnosis is very difficult due to no symptoms at the time of poisoning, and biased history. We report a case of a young male presented with isolated gastric outlet obstruction after 1 month of asymptomatic ingestion of toilet cleaner, which was known to us later, mimicking linitis plastica. On upper endoscopy, the stomach was grossly edematous, antrum edematous and inflamed with reduced distensibility and narrow pyloric canal. Endoscopic ultrasound of the stomach revealed diffuse thickening of the gastric wall, mainly the antrum, involving submucosa and muscularis propria. 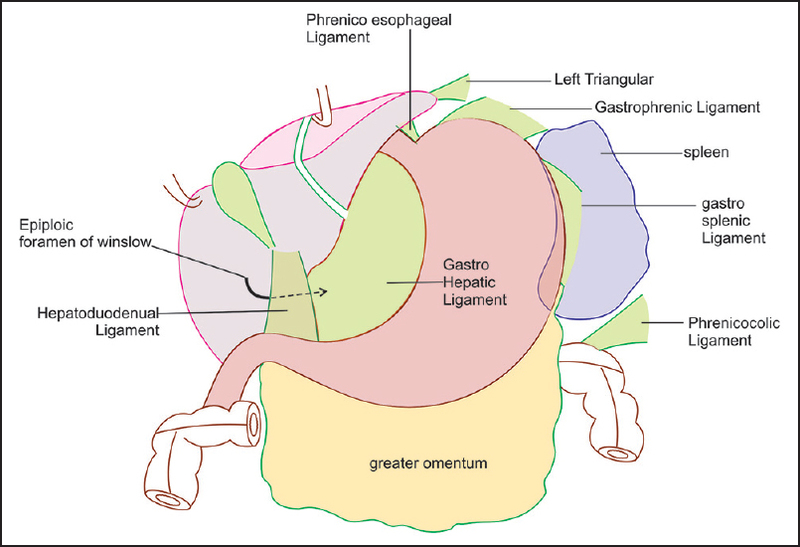 We propose corrosive injury to be in the differential diagnosis of gastric linitis plastica. Since its introduction in the early 1990s, endoscopic ultrasound-assisted fine-needle aspiration (EUS-FNA) has been used for sampling of extraintestinal mass lesions and peri-intestinal lymphadenopathy. Although EUS-FNA is highly accurate, lymphomas can be challenging to diagnose using EUS-FNA. We present the case of a 60-year-old male who had experienced upper abdominal discomfort for 1 month. 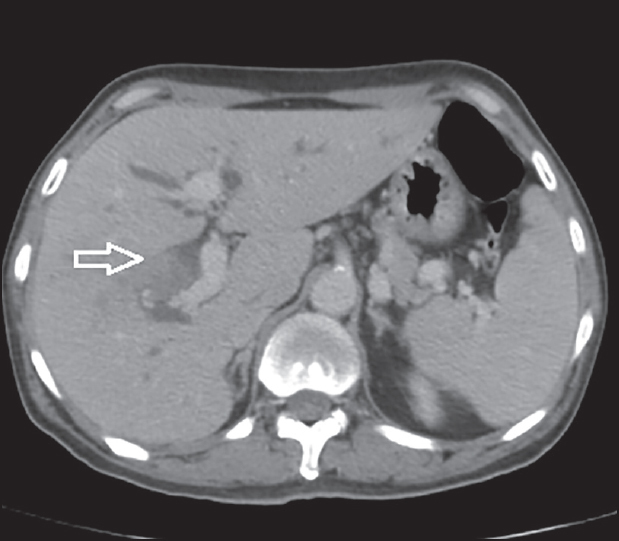 Computerized tomography (CT) examination revealed multiple soft-tissue shadows located above the pancreatic body. The biggest shadow had a cross-sectional area of 7.7 cm × 7.2 cm. 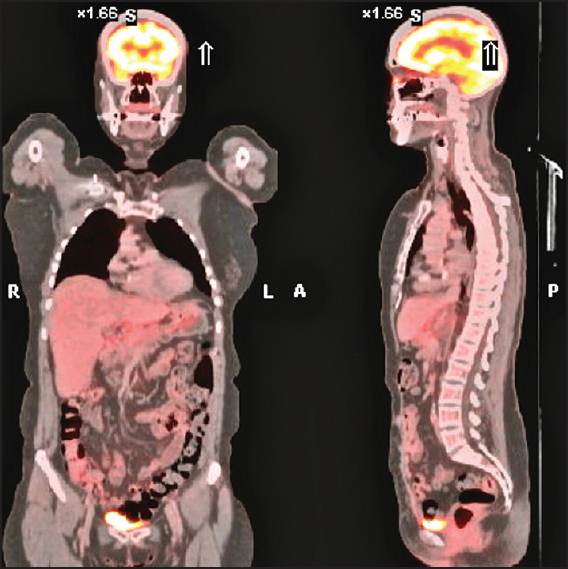 Positron emission tomography-CT (PET-CT) imaging showed increased uptake of 18 F-FDG by these soft-tissue shadows. To investigate further, EUS was performed and it revealed the presence of multiple hypoechoic round lymph nodes. During the procedure, EUS-FNA was performed, but only a few dyskaryotic cells were observed by cytological evaluation. EUS-assisted retroperitoneoscopy and lymph node biopsy were performed to obtain more tissue for immunohistochemical analysis and subclassification of lymphoma. Finally, the patient was diagnosed with non-Hodgkin lymphoma, germinal center B-cell-like diffuse large B-cell lymphoma by this technique. EUS-assisted transendoscopic retroperitoneal lymph node biopsy is an alternative procedure for the diagnosis of lymphomas.